Bring in the summer season on a wave of invocation and celebration of life with the ecstatic practice of chanting! Join legendary kirtan wallah Jai Uttal on a vocal journey through the sacred sounds of ancient India. With call-and-response group chanting and storytelling, Jai creates a space of heartfelt expression. Dive into the heart’s deepest well with your voice and your prayers...calling, crying, reaching across infinite space to touch and be touched by the Divine Presence. This evening is an exploration and expression of the heart and the spirit. No previous experience with chanting is needed. This course qualifies for credit in the Yoga Tree Continuing Education Program. Yoga Tree Castro, 97 Collingwood St.
Jai Uttal, Grammy Award nominee, kirtan artist, and world music pioneer has been a leading influence in the Bhakti tradition for the past 50 years. Jai considers devotion to be the core of his musical and spiritual life, and he wholeheartedly shares his passionate heart through his voice and songs. *ENROLLMENT NOTE: Advance price purchases are not available on the Yoga Tree mobile app. Please visit yogatreesf.com/workshop/jai-uttal-ecstatic-chanting or contact Yoga Tree Castro at (415) 701-9642 to enroll at the advance price. In our modern culture most of us have lost our connection to ritual, and the power of repetition for more depth in our daily lives. We crave ways to connect more meaningfully with friends, loved ones and our community. Attending a yoga class is a ritual, and so is drinking a soothing cup of tea every morning. The answers we seek are hiding in plain sight. In this afternoon, you will learn ways to incorporate ritual, based on the season, foods and herbs, the yoga practice, meditation and beyond. • Daily practices + habits to bring you more joy and cultivate ease before you open your computer or check your phone. • Seasonal practices for yourself and/or with family + friends. • Connection to rituals of our past that we might have forgotten about and want to re-invigorate and update for our current lives. • How to develop your own ritual-style yoga practice at home. Yoga Tree 6th Ave, 182 6th Ave. 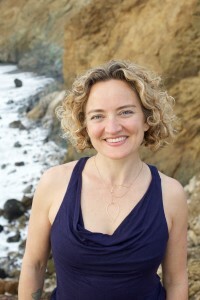 Crystal Marie Higgins gives students the space to go deeply inward on the mat while cultivating a stronger connection to the self, and their own unique power within the world. Her popular Hatha Flow + Restore classes at Yoga Tree are restorative, nurturing and deeply grounding. Crystal’s goal as a teacher is to help her students bring balance, strength and ease back into their lives no matter what life experiences come their way. With online registration, you are reserving one spot in the training. To reserve for additional students, please contact the studio where the training will be held. *ENROLLMENT NOTE: The advance price for this workshop is not available through the mobile app. Please visit YogaTreeSF.com or call Yoga Tree 6th Ave at (415) 752-4707 to enroll at the advance price. This session is limited to 22 couples and sells out up to two months in advance; pre-registration is REQUIRED. Jane Austin has worked with pregnant women and their families since 1990. She is a certified yoga teacher and trainer. Jane is the founder and director of Mama Tree, a prenatal yoga school dedicated to educating yoga teachers, doulas and midwives on how to use the tools of yoga to support pregnant women and new moms in all stages of the childbearing year and beyond. She weaves her experience as a midwife, doula, childbirth educator and mother into her work. Restorative Yoga is a deeply nourishing practice which helps to provide greater ease and comfort to our body, mind, and spirit. Essential Oils offer an additional therapeutic component to the practice by helping to balance our emotions and fortify our healing experience. In this workshop we will use well placed props to support relaxation, where each posture will benefit from a carefully selected essential oil or blend to facilitate further renewal. All are welcome, no prior yoga experience necessary. Please contact Estee if you have any known sensitivities or allergies to essential oils. Yoga Tree Valencia, 1234 Valencia St.
Estee Fletter, E-RYT 500, is a compassionate and inspired yoga teacher, mentor, and teacher trainer based in San Francisco. She has been studying yoga since 1999 and teaching since 2005. These workshops are for women and men with the intention to create equilibrium within ourselves. Our life challenges and attraction of obstacles stem from a lack of belief that we can harness our own internal vibration as a whole masculine and a whole feminine. In these workshops, we will call in the healing of the divine whole masculine and whole feminine inside each of us, so we can manifest and co-create a reality that is more vibrant, healing, and holistic. In these workshops, we will experience the teachings of Kundalini Yoga for masculine and feminine energies and identities from Yogi Bhajan. We will invoke the Aquarian Feminine, which is courageous, powerful, conscious, successful, and vital, and the Aquarian Masculine, which is conscious with its words, kind, generous, and full of love. It is about internal vibration, no matter what gender we are or what background we are from. Through the diversity of human expression and human experience, we will come to equilibrium with the cosmic energies inside us all so they may work for us, not against us, as we live our mission on the planet. Liya Garber creates a heart-filled, deep space of self realization and self healing. She has unique gifts of laughter, humor, and clarity. Liya brings a potent energy for creating sacred space in which humans can elevate and reconnect with their hearts and destiny. With sincerity and grace, she creates a special connection with each of her students. Her goal is to reach as many humans as possible in this lifetime. Her highest values are authenticity and honesty with herself and others. *ENROLLMENT NOTE: The advance price for this workshop is not available through the mobile app. Please visit YogaTreeSF.com/workshop or call Yoga Tree Telegraph at (510) 486-1989 to enroll at the advance price. 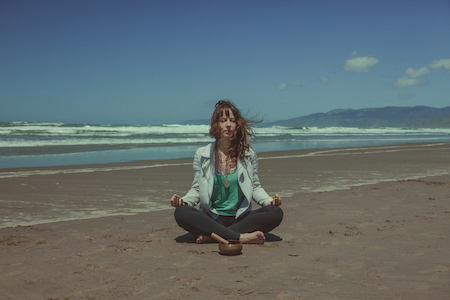 Ready to dial down stress and dial up more self-care? Release and restore your body and mind to its natural state. Let Mother Earth nurture you this Mother's Day! Susan Topf (ERYT-500) teaches creatively and intuitively through guided meditation, gentle yoga asana practice and plant based wisdom. ALL WORKSHOPS & TRAININGS ARE NON-REFUNDABLE. *ENROLLMENT NOTE: Advance price registration for this training is not available through the mobile app. Please visit YogaTreeSF.com/workshops or call Yoga Tree Potrero at (415) 655-3936 to register at the advance price. Yoga can be a valuable tool to support birthing mothers and their partners in staying present, focused and relaxed through the intensity of birth and beyond. This workshop offers couples an opportunity to go deeper in their connection to each other, their babies and their own intuitive wisdom. Together you’ll learn how to confidently navigate all phases of labor with breath awareness, massage and partner poses. Furthermore, partners will learn skills for self-care and creating a safe and calm environment for birthing. Britt Fohrman creates a healing, loving, and supportive environment for people in all stages of the childbearing years, in her work as a yoga teacher, birth educator, photographer, and birth doula. She is passionate about helping pregnant people consciously prepare for birth and parenting through yoga, deep relaxation, self awareness and compassion. Though she’s studied with many leaders in her field, she finds that her most profound education has come from witnessing the power of over 500 families giving birth. Stacey will hold healing space and guide you through a full body roll out to relieve tightness and provide fresh insights into your body. Unburden overworked muscles, disarm accumulated stress and tension, and roll your way to more freedom of movement. You'll leave with your body and mind feeling liberated and refreshed. Whether you are a yogi, an athlete, or a desk-jockey, you can learn how to offer your well-deserving body the gift of self-massage. And you will learn the tools and techniques you can use anytime, anywhere, to roll your way to relaxation and relief. Yoga Tune Up® Therapy Balls will be available for use or purchase. 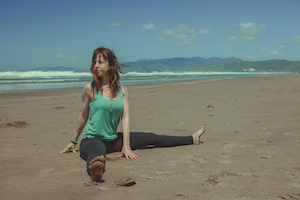 Yoga Tree Hayes | 519 Hayes St.
Stacey Rosenberg is a movement educator and a technician of yoga who brings both the wisdom accumulated through years of experience and a sense of humor to the practice. You will have fun while building strength and confidence, increasing your performance, and feel better in your body to go out into the world and do what you love. We thrive with rest. In this fast-paced age where being busy, exhausted, overstimulated and stressed are the norm, the nurturing stillness of restorative yoga can be the remedy. Surrender into comfortable, supported poses while you enjoy easy breath awareness and simple meditation techniques infused with soothing sonic interludes. This widely accessible practice resets the nervous system to restore health, vitality and ease within all levels of your being. Relieve the aches in your muscular body with this deep medicine. Expand your natural capacity to heal, sleep, digest, conceive, build immunities and show up in your life with a clear mind and open heart. Drop in and listen to your body’s wisdom. Restorative Yoga is accessible to everyone, regardless of fitness level, age, ability or experience with yoga. This deep medicine can be incredibly useful for everyone, including pregnant women, new parents, people with anxiety, chronic illnesses, headaches and discomfort. All you need is the willingness to be still and present with yourself. Please bring your own eye pillow. If you'd like an eye pillow, you may purchase one in our studio retail boutique. Britt Fohrman is devoted to creating a relaxing, welcoming and therapeutic atmosphere for yogis in all life stages. She encourages her students to approach yoga as a way of life, infused with lovingkindness and respect for the body's innate wisdom. Her creative style of teaching emphasizes alignment, sequencing, breath and inner awareness, while her approach is imbued with warmth, levity and realness. Since 1993, Britt has studied Iyengar, Restorative, Therapeutic and Laughter Yoga, interwoven with influences of Viniyoga and Vipassana (Buddhist Insight) Meditation. "Students often say to me that they feel that class has just started once it ends." We hope you will come and spend three relaxing hours with Harvey during this luxurious therapeutic yoga extravaganza. Acclaimed physical therapist, yogi, and beloved teacher, Harvey Deutch, P.T. has been merging the art and science of yoga and physical therapy for over 35 years, exploring and perfecting the nuances of each. His laser-sharp precision and keen eye for working with the physical form join his innate ability to understand and finesse the energetic body. Along with his signature humor, Harvey is well-known for taking two-dimensional anatomy off the page and making it burst alive on the mat. For more information, please visit redhawkpt.com. Note: This listing is for the second of three modules for Diving For The Blue Pearl. To enroll in the February 3 or July 21 modules, click on the module date/name below. Throughout the centuries Kundalini Yoga was a secret taught only to small groups of highly evolved yogis by illumined teachers. Yogi Bhajan came to the West in 1969 and said, “The world needs this experience Now!” Kundalini Yoga lifts the veil between our world and the other worlds, and the window between spirit world and material world opens. Together we will travel into your Unknown where lie the treasures, the jewels, the gifts. With these Blessings that Creator gave you this lifetime, you can rise to the surface to see more clearly and to trust your intuition. As you begin to trust yourself, you will love yourself; you will believe in yourself; you will move forward. First you dive deeply to find the jewels. Then you surface to see the Light and to follow the Light. Then you become the Light. This can happen if you dare to dive deeply. Please join Gurmukh and Gurushabd for this transformative journey of the Soul. Note: This listing is for registration in the May 26 module. To enroll in the February 3 or July 21 modules, click on the module date/name above. Gurmukh Kaur Khalsa and Gurushabd Singh Khalsa are legacy teachers of Kundalini Yoga as taught by Yogi Bhajan. They both studied and served directly with Yogi Bhajan from 1970 until he left his body in 2004, directing the Golden Temple Restaurants in Santa Fe and Los Angeles, pioneering his first yoga center in Los Angeles in the early '80s, sitting at his feet for the teachings for many years in Los Angeles and New Mexico. Gurmukh attended the Khalsa Women's Training Camps with Yogi Bhajan from 1972 until he left his body. For more than two decades they experienced the White Tantric Yoga courses and solstice gatherings that he presided over in person. In his household and in public they served him directly.